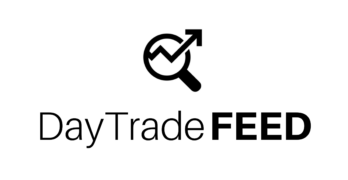 DayTradeFEED.com provides accurate, objective day trading information. All over the world, people are learning how to increase their income with day trading! But while it’s been around for quite awhile, accurate information is still difficult to locate online. Are you looking for ways to increase your income without quitting your day job? Do you often find yourself with extra time on your hands, and want to make that time more purposeful and lucrative? Is there a big, costly event (baby, home purchase) coming up in your life? Have you accurately heard about day trading? If you fall into any of the the categories above, DayTradeFEED.com is the right place for you! Make sure to check in regularly for updates, including market news, strategy blogs, basic terminology, as well as information on cryptocurrency and how it applies. Why did we create DayTradeFEED.com? Day trading caught our attention a long time ago. But in our attempt to find more information, we found website after website of educational programs promising to make us rich. We realized there wasn’t a good resource for general information after reviewing these programs. DayTradeFEED.com believes in day trading and what it can offer those who take the necessary time to learn: financial freedom. In addition, our group also knows how overwhelming it can be to add time-consuming education to your already busy day-to-day schedule. DayTradeFEED.com is for those of you who want to learn more about day trading at your own pace, without pressure to sign up with a day trading educational program. DayTradeFEED.com – Learn before getting started on your own! Interested in learning more? Check out our long list of resources to help you on your journey! These resources include our DayTradeFEED.com Forum, Market News blogs and much more!